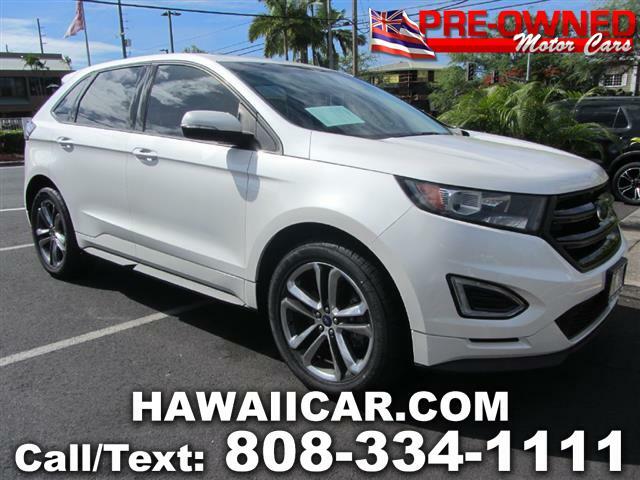 This beautiful Ford Edge has low miles and is still covered by the manufacturer's power-train warranty. With great gas mileage, you can get up to 27 MPG in this particular vehicle. The Edge is equipped with premium features like, a an Back Up Camera, Dual Power Seats, Leather, Navigation, Premium Sound System With Bluetooth and Ford's Sync System and Oversized 20 in Wheels. Want a premium SUV for an affordable price? Stop on by Pre-Owned Motor Cars and take this Sporty Edge home!